He discussed various issues including the advantage of digital classrooms, measures to increase racial tolerance among students. 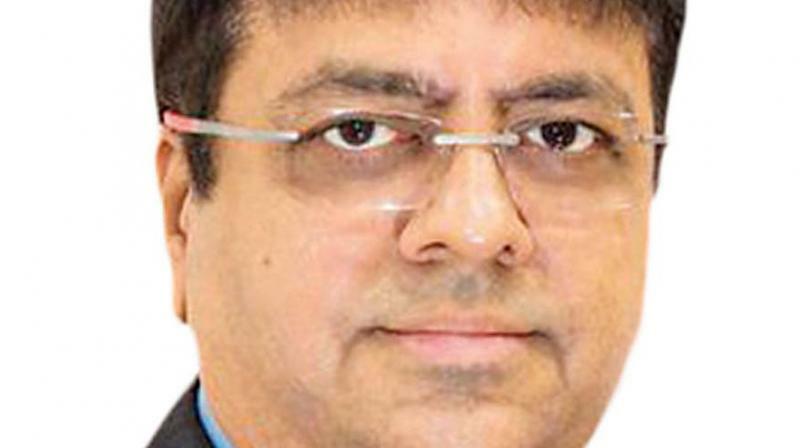 Chennai: Atul Temurnikar is co-founder and chairman of Global Schools Foundation (GSF) Singapore and a prominent member of the education industry. GSF recently launched Global Indian International School (GIIS) Smart Campus in Singapore which has several smart features including academic and sports data analytics, location mapping for students, teachers, smart classrooms and studios to teach robotics and artificial intelligence. In an email interview to Deccan Chronicle, he discussed various issues including the advantage of digital classrooms, measures to increase racial tolerance among students and future schools. Q How GIIS Smart Campus is different from the rest of international schools? Global Indian International School (GISS) stands due to three reasons - a choice of international curricular for students from KG to class 12, special emphasis on skill-based education with more than 40 studios to impart various skills including robotics, artificial intelligence, Radio/TV. The third reason is the fee is also very less compared to other international schools. Q What are the advantages for the students studying in technology-enabled classrooms compared to conventional classrooms? Conventional classrooms with a blackboard and chalk are basic essentials but have ceased to be the only medium of learning and teaching in today's world. The young generation is so tech-savvy, so digitally native, that it will be impossible to engage them in textbooks, notebooks and blackboards alone. They have information on their fingertips through their smartphones. That is why the education and learning system also needs to be as savvy as the learners. Information needs to be interactive, textbooks /notebooks need to be collaborative. Q Since Tamils constitute a considerable portion in Singapore how the school plans to cater to their needs? An international school like GIIS caters mostly to the expat population. GIIS' multi-ethnic and international culture caters to the needs of students from 45 different countries including the Tamil speaking population. The medium of education is English, but students have the option of choosing their second language. Tamil is offered as one of the many languages can student can opt to study (others being Hindi, French etc). Many international students have Tamil as their language of choice. Q What are the measures put in place in your school to increase tolerance among students towards different cultures and religions? What is the importance given to racial harmony in your school? At GIIS, we follow the 9GEMS framework of holistic learning. It is an award-winning framework, which puts equal emphasis on academics, sports and other activities. We openly welcome student from every nationality into our ecosystem. There are students from 42 nationalities that study in our school, and their day begins with a 'Sarva Dharma Prarthana' - a multi-religious prayer that extols the virtues of brotherhood and peace. Besides this, we also teach each student the importance of service, peaceful existence and being caring global citizens. Through specific initiatives built into our curriculum, we embrace projects and educational practices that encourage students to live in the spirit of understanding, peace and racial harmony. Q Besides digital-enabled teaching, what are the other innovations in your school? Digital classrooms are just one of the several ways to do so. The other is the skills-based studios. But, apart from this, GIIS has devised methods to use big data into education to disrupt the way learning and assessment are done. In academics, GIIS has adopted the award-winning 7S method which collects data of each student from every classroom in seven different ways: school-wise, segment-wise, section-wise, subject-wise, student-wise etc to analyse a student's strengths and weaknesses and help them improve. We also are running a pilot project which is meant to eliminate physical question and answer sheets. Q Will new technologies replace classroom coaching? How do you envision the future schools? The future of schools and education in general lies in keeping abreast with the times. This is an era of digital revolution, and we need to embrace technology wholeheartedly and customize it to the needs of the students. We cannot go back. There is no way our Millennial generation will engage in learning something that is outdated through outdated methods. For a smart generation, smart teaching methodology is required. Gadgets can do only so much, and can never replace the human touch. So while technologies will be more and more present in the classroom, they can never replace a class teacher, who will be a conduit between the students and the technology. We train our teachers to also be abreast of the newer methods of teaching, so they can be one step ahead of students. Q Is there any plan to launch SMART campuses in India? We intend to launch three new SMART campuses in India in 2019 at Balewadi, Hadapsar and Bannerghatta, and over the next three years in Amaravati and Nagpur. All our schools are sure to be Smart and all our students will benefit from this Smart culture that we are promoting in the next generation.